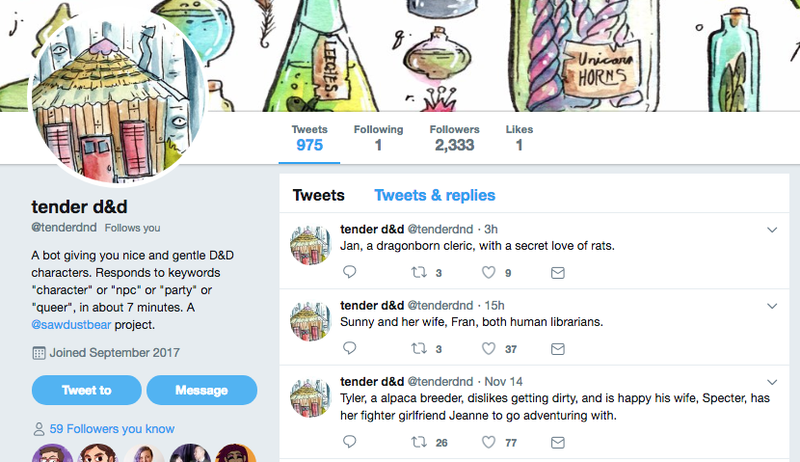 @tenderdnd is a Twitterbot that populates a world of gentle, sensitive and queer D&D characters and NPCs. A conversion of a vintage Victor 77 capsule machine into a fortune telling machine. More details and comments on the build are available in my blog post at Sawdust Bear Labs. I document my experimental builds and projects over at Sawdust Bear Labs! Projects include interactive fiction, several twtter bots, divination objects, and more.